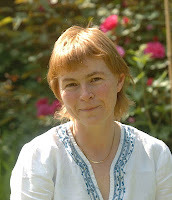 Not long after I first started blogging, I read a book called Crossed Wires by a wonderfully entertaining UK author called Rosy Thornton. It was one of the most memorable books I have ever read and still three years on one scene still sits in my mind and I can almost quote it word for word. With that in mind, I was over the moon when Rosy asked me if I would be interested in reading her new book Ninepins. I told Rosy I would happy to, before asking her if she would like to appear on the blog. She quickly whipped up this fabulous post for me. So I will pass you over to Rosy Thornton. The place where I live shouldn’t really exist. Or rather, it shouldn’t exist as habitable land, because it ought by rights to be under water! I live in Cottenham, a village in the Cambridgeshire fens: a swathe of country stretching north from Cambridge towards King’s Lynn and the Wash. Until a few short centuries ago, the whole area was marsh and wetland, useless for agriculture and much of it impassable except by boat. Then, in Cromwell’s time, with the help of engineers recruited from the Netherlands where they understood these things, the land was drained, the water pumped out from the earth into a series of ditches and cuts (known locally as ‘lodes’) which still criss-cross the fields. From a boggy, barren waste good only for fishing, the land was transformed into acre upon acre of rich, black soil, ideal for arable farming. It remains on first acquaintance a strange, unwelcoming place – flat and featureless and bleak. The Great Level, they call it: nearly fifteen hundred square miles of flatland of which my own corner is just a tiny part. This landscape was not one I would particularly have chosen to inhabit. In fact, when my partner and I moved out from the beautiful old city of Cambridge sixteen years ago in search of village life, we agreed that we would come anywhere but here. Both of us hailed from parts of the world where there were woods and trees, and valleys and rolling hills; we thought we’d find the fens depressing. And then I think we must have taken our eye off the ball for a moment: forgotten where Cottenham was, perhaps, or mixed it up with another village. Because the next thing we knew we had looked at the details of a house and fallen in love with it – and found ourselves to be fen dwellers. Chosen or not, I quickly found that the landscape took hold of me and of my imagination. Much like the water which percolates constantly beneath the surface of the soil in these parts, it soaked its way under my skin and seeped into my blood. Unrelieved by contours as it may be, this is a landscape with a drama which is quite unique. These waterlands lie so low that the outlook is always dominated by the skies – huge, towering, toppling skies – so that the mood can shift with every change of season, of weather or of light. 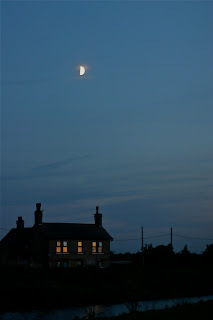 Setting has always been important to me as a writer, and when I decided to set a novel here in the Cambridgeshire fens, I knew that landscape would play as important a part in the book as characters or story. More than that, I knew that one theme of the book would be volatility: the unpredictable, shifting sands of family relationships. mysterious past, together with her social worker, Vince. Laura must decide: what does she want of Vince, and he of her? Is Willow dangerous or vulnerable, or maybe a little of both? And are all Laura’s painstakingly constructed certainties about to come tumbling down like ninepins? The quicksilver moods both of Beth and of the mysterious teenager, Willow, are the treacherous ground which Laura must negotiate, and their alterations are reflected through similar mood changes in the novel’s fenland backdrop. At times, all is peace and unbroken sunshine. 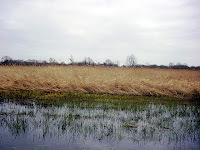 But while the fens can be serene and beautiful, they can also be a place of menace. I can't wait to read Ninepins now. 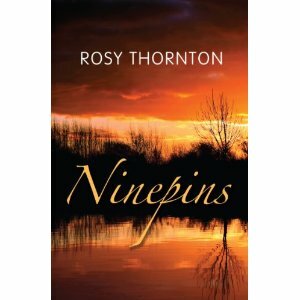 Ninepins was published on the 16th April by Sandstone Press Ltd. 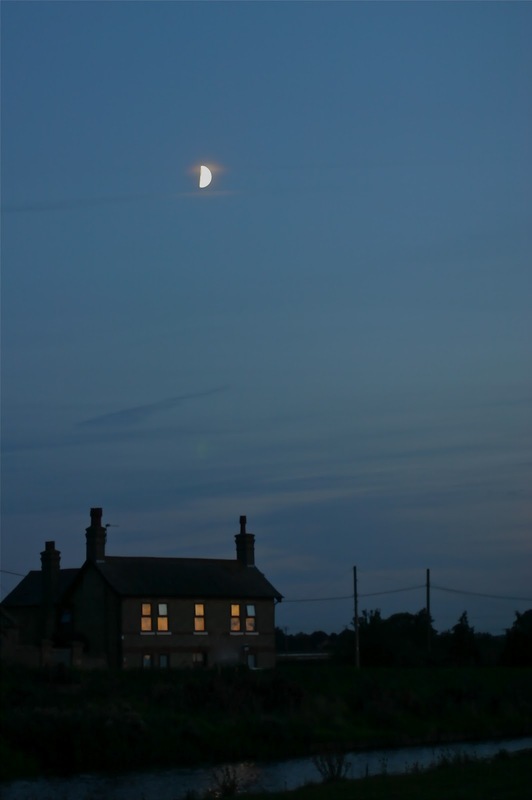 Thank you so much for giving me the space to talk about my fenland home, Vivienne - and for your very kind words about 'Crossed Wires'! I'm so glad your post came through my reader this morning. I find it interesting how the fens were formed. The blurb is perfect - makes me want to know more. I'm waiting for my copy of Ninepins to arrive and look forward to reading it.